Would you like a guiltless dessert for dinner tonight? One that’s easy and gluten-free? Well, I was looking for one too, and I found one! When I was at the grocery store, I bought a huge bag of Honeycrisp apples (they are our favorite) and while we love to eat them plain or dipped in peanut butter, I thought about baking them. My mom used to bake apples all the time, as we had several types of apple trees in our yard. But we don’t have any fruit bearing trees, so I love to get apples at the farmer’s market or grocery store. While my pork chops were baking, I quickly trolled through the food sites I bookmarked on my phone, and I found one that sounded perfect! Not too much sugar, using some nuts, and this recipe featured Honeycrisp apples! So, thanks to Trisha Yearwood, here is the recipe! 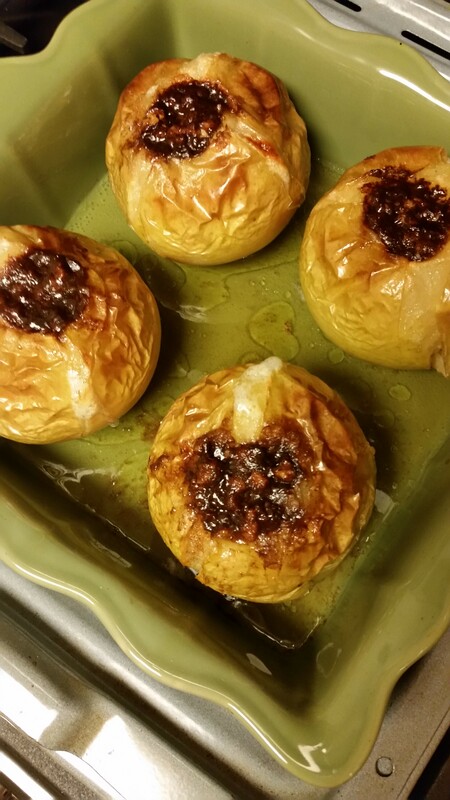 It’s so easy and believe me, these baked apples are amazing! 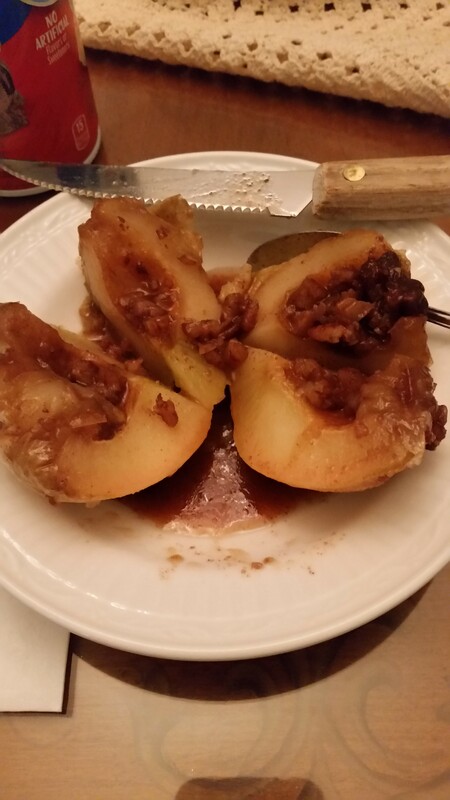 I like to use a melon baller to core apples, especially when you need the bottom of the apple intact, like this recipe calls for. 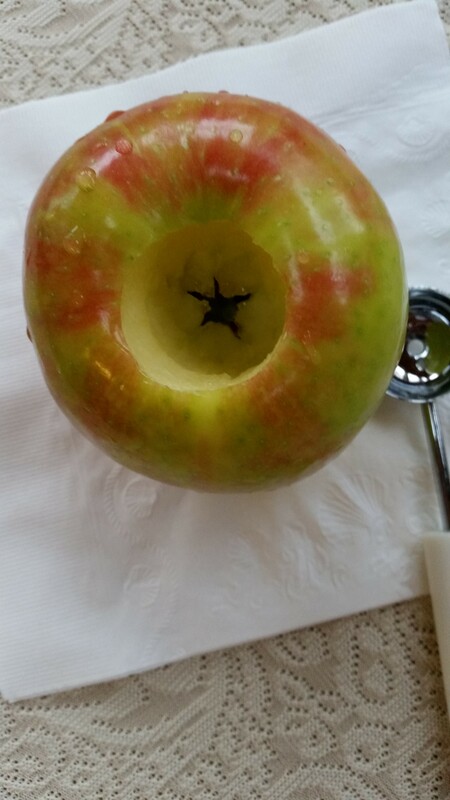 And look at the “little star” that formed while I was coring this apple! Filled with yummy goodness and ready to eat! 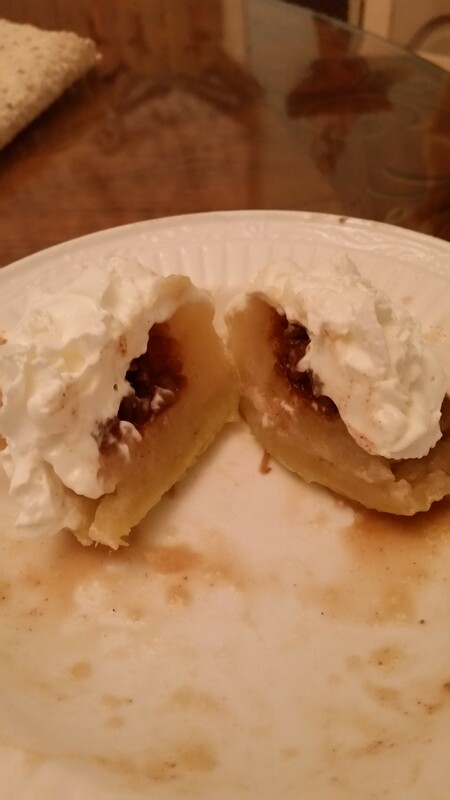 And of course, you can top your apple with some whipped cream! « You’ll love this gluten free oatmeal!